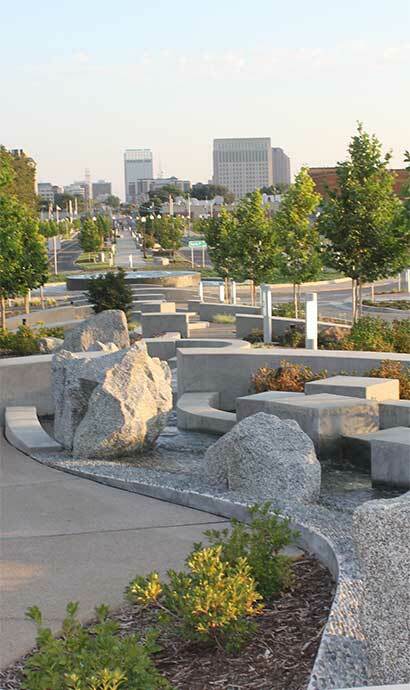 The art and science of landscape architecture balances creative gestures with complex ecological systems. A sustainable landscape contributes to human well-being yet conserves valuable natural resources, maintains diversity of species, and prevents the destruction of ecosystems. Our team is driven by a deep respect for natural systems, and inspired by human constructs and the social interactions they influence. We see projects differently – through the lenses of environment, social and economic sustainability. Our projects are recognized for their solutions-oriented design, client-focused process and exceptional functionality. We are one of the few firms capable of being a client’s trusted advisor from examining the initial concerns and site context, through the realization of the built vision.